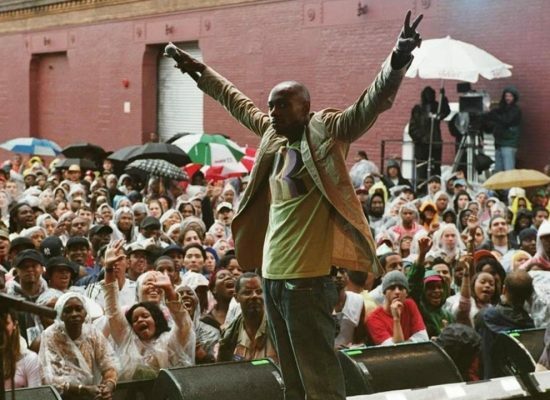 From director Michel Gondry (Eternal Sunshine of the Spotless Mind) and comedian Dave Chappelle comes a doc about the party of a decade, inspired by the 70s’ legendary concert/documentary Wattstax. Following the hilarious road trip from Chappelle’s hometown in Ohio to Brooklyn, the comedian surprises and invites strangers from all walks of life to a festival featuring some of the biggest and baddest artists in neo-soul and hip hop. BIG SCREEN. BIG SOUND. NOT ON NETFLIX. MASTERS OF FILM DIRECTION AND GROUNDBREAKING MUSICIANS TOGETHER FOR THE GREATEST MUSIC DOCS OF ALL TIME.